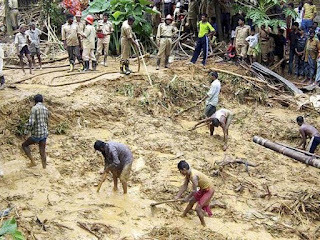 Dhaka [Bangladesh] : The death toll following the recent incessant downpour and landslides in Bangladesh has risen to 156, as firefighters recovered four dead bodies from different areas of Rangamati. The death toll in most affected Rangamati alone has risen to 114 after these newly-found bodies were recovered, reports the Dhaka Tribune. The regular rescue operation in the Rangamati has been called off by the local district administration and now the firefighters will only conduct the rescue operation based on specific information. 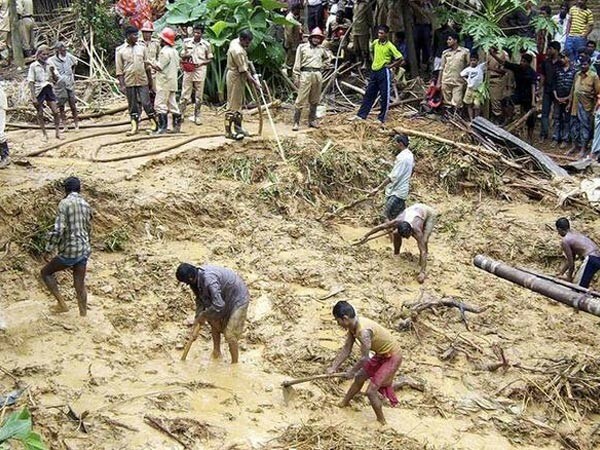 Several people were killed in the hilly areas of Chittagong, Rangamati and Bandarban in Bangladesh following incessant downpour and landslides late Tuesday night. The Chittagong Hill Tracts saw over 300 mm of rainfall in the 24 hours till Tuesday morning. Chittagong alone experienced 222 mm of rain during the same period. The four army men died after being struck by a landslide from an adjacent hill while trying to clear a road in Rangamati's Manikchhari on Tuesday. According to reports, the landslide pushed 15 army men down to around 30 feet, killing the four instantly. Bangladesh President Abdul Hamid and Prime Minister Sheikh Hasina have expressed their deep condolence over the death so many people, including the army members.